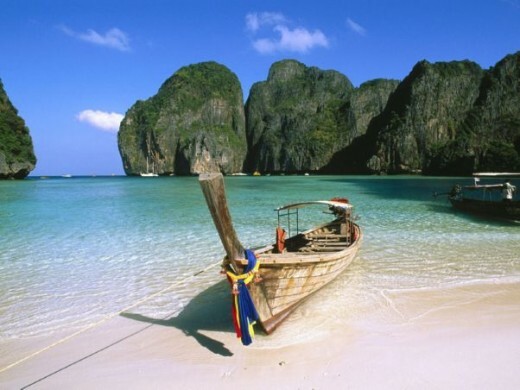 Thailand boasts some of the most beautiful beaches along its southern coasts. Some of these beaches are along the coast, others are out on the many islands that are a short boat ride away. 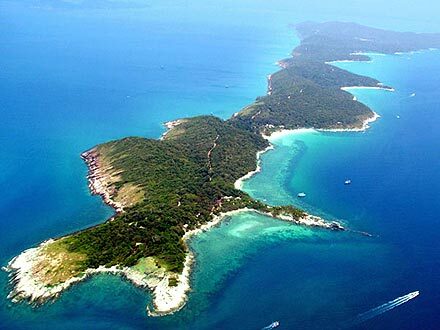 In the Thai language, Koh, pronounced /gok/ ~ without actually pronouncing the 'k' as a hard /k/, is literally translated to 'island.' The more affluent locals flock to the beaches during holidays, making a coastal vacation the most popular among the Thai. 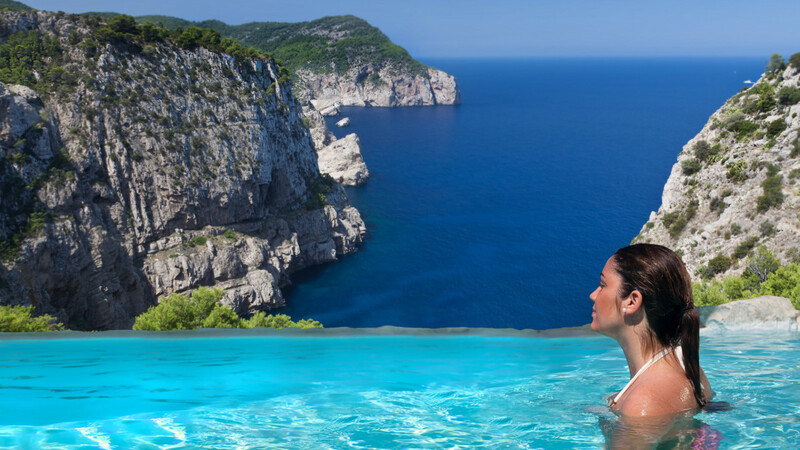 During other times of the year, many tourists from all over the world visit the popular Thai beaches for some rest and relaxation, climbing adventures, or simply to relax at one of the many spa resorts available. 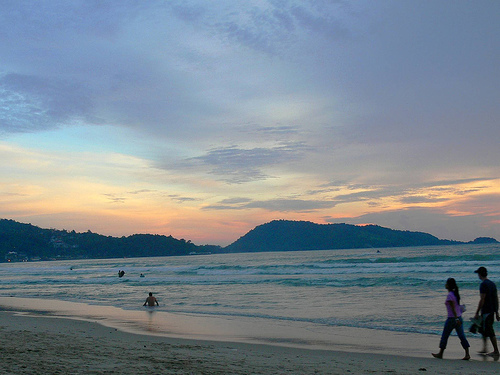 Phuket is the largest island in Thailand and is a popular tourist destination. Despite the damage caused by the tsunami of 2004, rebuilding began almost immediately. Patong Beach, a popular, commercial stretch of gentle-sloping sand was hit and several blocks worth of water came spilling on land, reaching the second floor in many buildings. Many businesses opened back up within three to four months creating an extraordinarily short recovery time. Within a year, the area was pretty much back to normal. The attraction to Phuket begins with the long, white-sand beaches that stretch along its west coast where there are a series of bays for beach-lovers. These little bays allow people to enjoy smaller, more intimate sections of beach rather than one giant one. There are a vast array of activities for people to participate in, ranging from fishing and boating to hiking and swimming. Sea kayaking is fun to do as you can explore the tall limestone walls and go into some underwater caves at the right time of day. There are also people on waverunners and jet skis having a blast in the sun. The most crowded, commercial area in Phuket is Patong Beach, where tourists swarm for cheap bargains and interesting night-life activities. 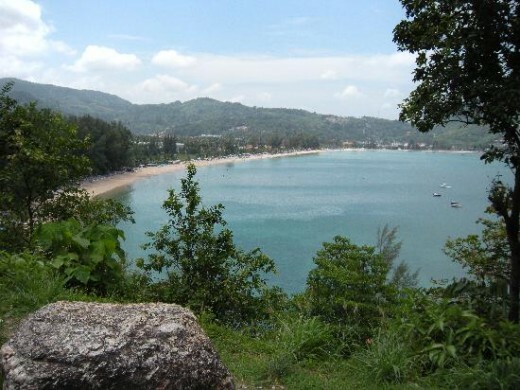 Kamala Beach is a much quieter spot for those who desire true rest and relaxation. Kata Bay is usually teeming with activity as it houses Club Med. Nai Thong Beach is one of the quietest spots on the island, away from the tourists and visited mostly by the local Thais. Pattaya Beach, a two-hour trip from Bangkok, is a popular place for tourists and locals to visit. It is a popular weekend vacation as it is relatively close to the capital city. Pattaya is a common destination for American servicemen, especially during the Vietnam War. Today, Pattaya is very commercial and filled with night clubs, dance clubs, and restaurants. It has, unfortunately, gained a reputation as Thailand's seediest beach. 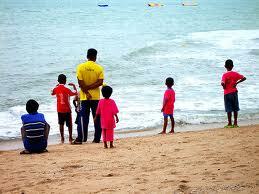 Locals have attempted to add many more family-oriented activities and are slowly changing the image of Pattaya Beach. If you are heading to the beach for a good time with your friends and you're in your 20's, Pattaya Beach is for you! 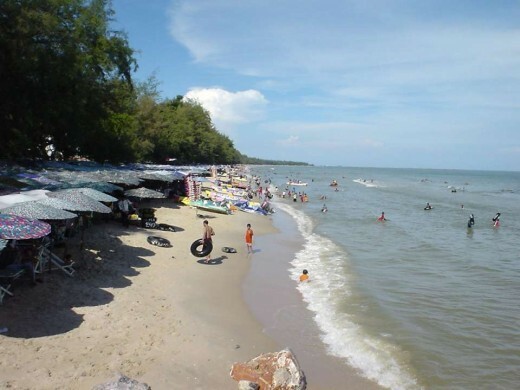 If you travel just south of Pattaya, you will encounter Jomtien Beach which is a more family-friendly, less-seedy area. Jomtien Beach is only a 15 minute drive from Pattaya so if you really want to experience the night-life, you can do so with ease. At Pattaya Beach, many water activities are available for those who like to hit the sand and surf. The water is filled with jet-skiers, water skiers, and powerboats pulling parasails. There are also many people who go scuba diving. For those who are more advanced at scuba-diving, there is also a shipwreck site for your discovery adventure. The beaches of Hua Hin and Cha Am are frequented by locals as they are conveniently located just south of Bangkok. 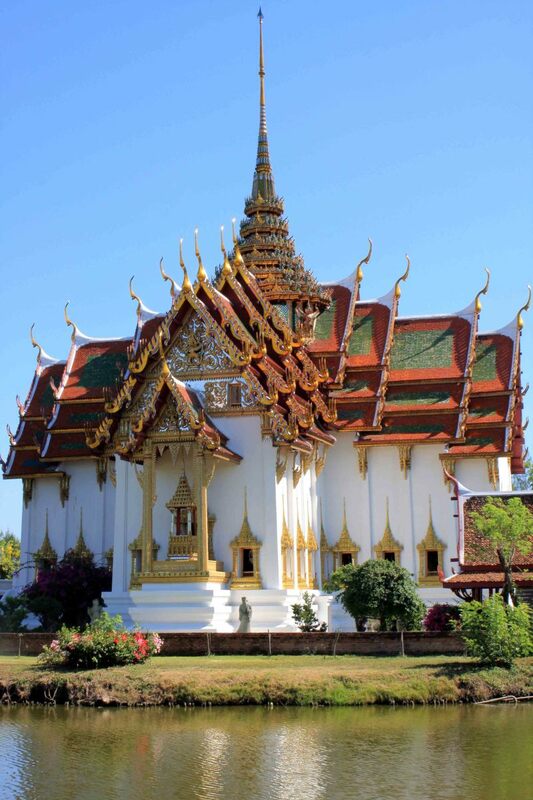 During the middle of the nineteenth century, the royal family in Thailand started to build palaces along the southern coast of the country so that they can take advantage of the fresh ocean air. This all started with King Rama IV, King Mongkut, in 1859 and his successors continued the trend. 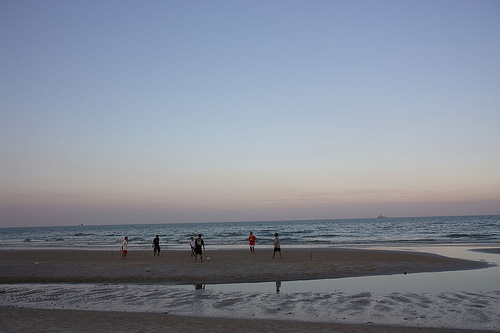 The group of palaces end at Hua Hin Beach. Hua Hin Beach is bordered by the ocean on one side and Myanmar (Burma) on the other and takes the form of a long, narrow strip. It is one of the most popular beaches to visit. The beach itself is relatively flat with a long, gently sloping sand line. It is surrounded by small hotel resorts. For the most part, Europeans make up the tourist population in Hua Hin. They pack the beaches during the high season. There are as many Italian and German restaurants as there are Thai ones around this area. Located in the same province, not too far away (20km north) from Hua Hin, is Cha Am Beach. This particular beach is home to the only American university in Thailand, Webster University. Cha Am is home to many large beach resorts with towering buildings and plenty of water sports for all. The best time to visit Cha Am is during the weekdays when the locals are busy at work in Bangkok as it is a popular weekend getaway. Cha Am is a quieter option than Hua Hin if you are looking for a family-friendly place that is not too commercial and crowded. 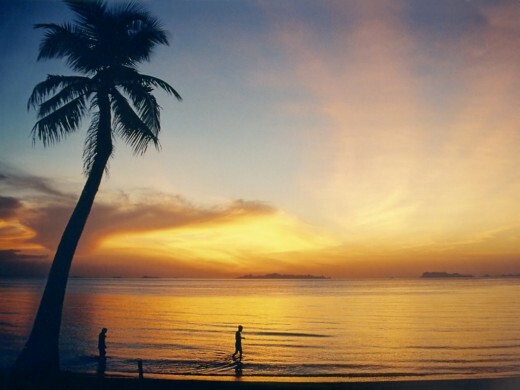 The island of Koh Samui consists of a perimeter of beaches where people can have a variety of choices. There are some beaches that are more populated than others, some more suitable for swimming than others, and some more kid-friendly than others. 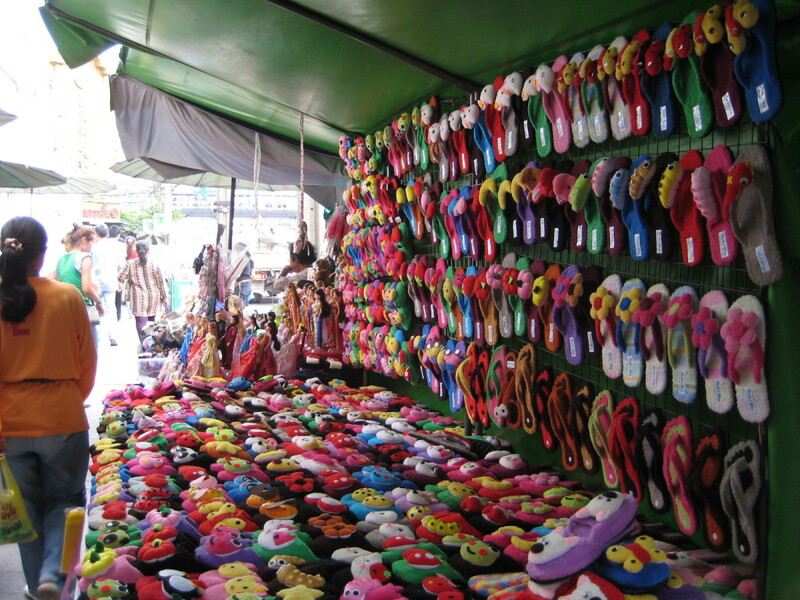 Many people visit Koh Samui in order to go backpacking. Since it is a more laid-back island than Phuket, many people prefer visiting Koh Samui when they are looking for and island to explore. There are also a few waterfalls to visit which are inland, as well as a pair of rocks sculpted by the wind and water, called Grandfather and Grandmother Stones. This is Koh Samui's most popular and populated beach. There are a myriad of hotels, restaurants and stores along this four-mile stretch of the island. The sand is soft, the water is clear, and the beach is lined with coconut trees. This particular beach is usually packed with vacationers, vendors, and water sports are aplenty. There is also active nightlife on this beach. 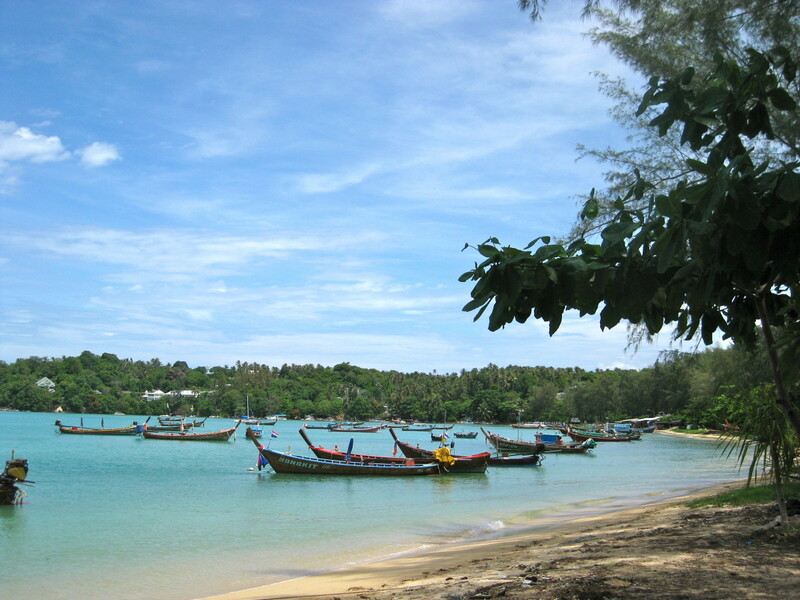 You can find Bophut Beach along the northern coast of Koh Samui. It is less developed and populated than Chaweng or Lamai Beaches. Bophut Beach exudes a hippy feeling as there is a very relaxed atmosphere. There might be an occasional jet-skier, but for the most part, it is quiet. There is a fisherman's village just behind the beach which is worth visiting. This beach is south of Chaweng Beach and offers a good balance for those who want convenience without the crowds. There are plenty of accommodations and restaurants in this area as well as nightlife, but it is not as active as Chaweng Beach. This particular beach houses a 35-foot Buddha statue that overlooks the ocean. It is located close to the Samui Airport. Although the beach here is less crowded, it is also one of the least scenic beaches on the island. There is often a lot of boat traffic in this area, making it a less desirable beach for swimming. One advantage, however, is that the accommodations at Big Buddha Beach are the most affordable on the island. Some would argue that Mae Nam Beach is the best one on the island. It boasts many affordable bungalows for rent along with a few luxurious resorts on a quaint beach. If your goal is to relax at the beach, Mae Nam Beach is the place for you. It is extremely scenic here. There are many conveniences nearby such as restaurants, bars, and stores, without as much nightlife activity, making this a desirable area to visit. Two main islands make up the Phi Phi Islands ~ Phi Phi Don, the larger, developed island where visitors stay, and Phi Phi Le, the smaller island only visited during the day by tourists from the bigger island. Phi Phi Islands were once known for their spectacularly clear waters and magnificent corals. Due to over-development, unfortunately, the area has suffered tremendously. The Islands were also damaged from the 2004 Tsunami, but much like Phuket Island, rebuilding occurred immediately and the island is back to its previous state. Despite the over-development, Phi Phi still boasts some of the most inviting beaches and waters in Thailand. The typical visitor to Phi Phi Islands is the twenty-something traveling on a shoe-string budget. There are many affordable bungalows and motel / hotel rooms to rent. The further away you get from the areas known as Tonsai or Loh Dalum Bays, the atmosphere is more relaxed and there is less congestion and noise. Many people visit the islands to snorkel or scuba dive. There are also many cliffs and rock walls for those who love to climb. Koh Chang, the second largest in the country, is the most recently developed island off Thailand's eastern coast. There are a huge range of accommodations on this island, ranging from the affordable bungalows to luxurious hotel resorts. 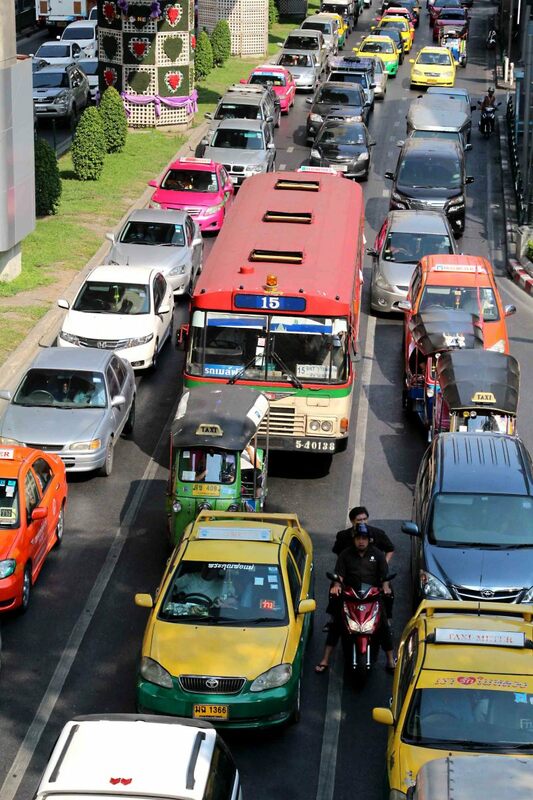 There are two flights a day from from Bangkok, which helps travelers get there without having to drive a long distance. There is a ferry that takes visitors from the mainland to the island. Koh Chang is everything you ever dreamed of regarding a tropical island ~ there are white sandy beaches, palm trees galore, and clear, warm water. It is much less crowded than the other islands but developed enough to provide you with restaurant, lodging and shopping choices. You can also visit the Koh Chang National Marine Park which occupies a majority of the island itself. 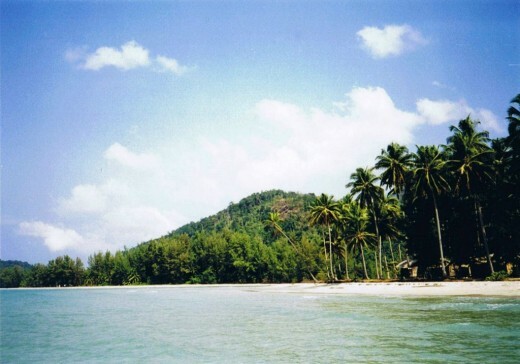 The Marine Park contains 47 islands, with Koh Chang being the largest. There are plenty of snorkel and scuba diving opportunities in the park where there are caves and underwater worlds to explore. There is one restaurant in the park, as well as a museum for your exploration pleasure. If you want to stay the night in the park, you can rent two-man tents and live the rugged lifestyle. Since there are no airports on Koh Samet, one of the smaller islands of Thailand's coastline, the only way to get there is by boat from the Ban Phe Pier in Rayong province. The boat ride is 40 minutes and leaves every hour. Some visitors claim that Koh Samet has the most beautiful sand of all the Thai beaches. It is part of the national park in the area. Koh Samet is a popular beach frequented by the younger generation who come to party and enjoy the nightlife. There are several bars for them to frequent and affordable bungalows for them to crash in when done with the partying. If you want to venture into the nicer areas of the island, you have to pay a fee to enter the national park. Pick-up trucks are used to carry people around. Within this park, you are allowed to set up tents anywhere you please. If you find Naga Beach, you will also find access to a small shop, an internet cafe, and a book exchange. Looking For Some R & R? If you're planning a trip to Thailand and you want a portion of your trip to include some rest and relaxation, you might want to consider a side-trip to one of the beaches or islands. They are all either a short drive, flight, or boat-ride away. Thailand provides you with one of the most affordable countries to visit so you might as well throw in trip to the beach to top off your stay. Wow wow wow... you clearly missed out on the most beautiful beach of them all ;) !! While the places you mentioned are often overloaded by tourists, this little spot is hidden and quiet to discover Thailand in its origin. @Chinared: I hope you're enjoying China while you're there. You really do need to get down to the Thai beaches, however...especially since you're already on that side of the world. :) Thank you for reading and voting! @IslandBites: Thank you for reading! Glad you enjoyed it. Nice hub! I'm in China now, but would love to visit the exotic tropical beauty of Thailand's coast. So close, yet so far. Thanks for the information. Voted up and interesting!